While growing up, most of us owned a teddy bear or stuffed animal. An adorable, huggable companion to play with and to cheer us up during times of sadness. Most of us might have also wished, at some point, that these stuffed friends were real. Well, this dream is now a reality thanks to efforts of breeding. Introducing the Teddy Bear Dog. How Much Money is a Teddy Bear Dog? Where Can I Buy a Teddy Bear Puppy? 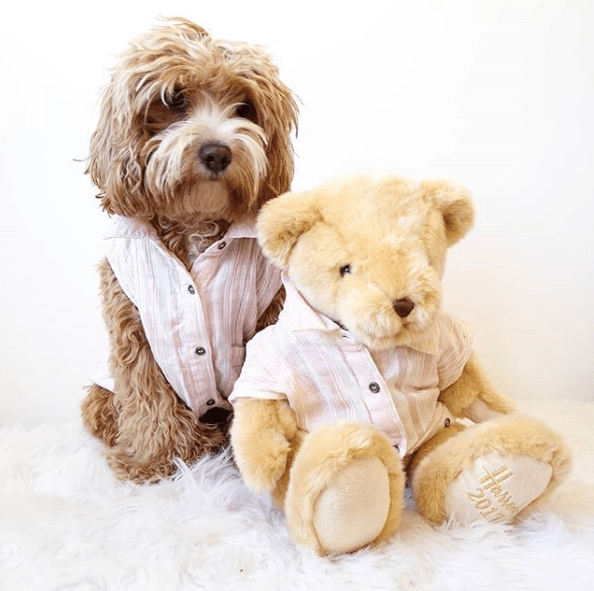 Is the Teddy Bear Dog Right for Me? Also called Designer Dogs, this isn’t one specific breed. 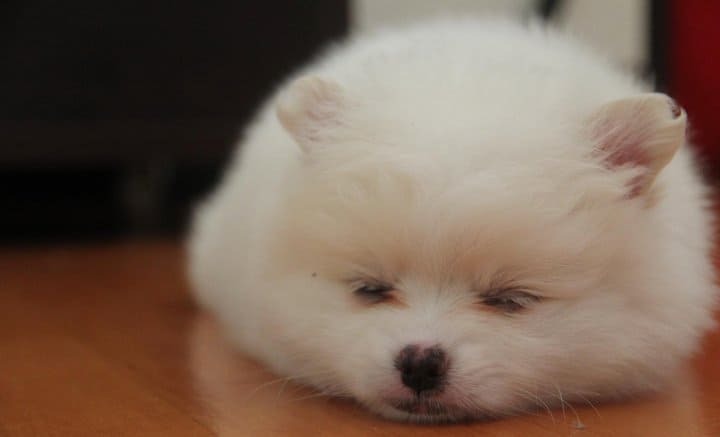 It’s a name used to describe any particular canine that looks like a teddy bear. There are two types. One is a purebred that already looks like a teddy bear. Examples of these are Cocker Spaniel, Yorkshire Terrier, Dachshund, and Schnauzer. The second type is two purebreds bred together to create the appearance of a stuffed animal. 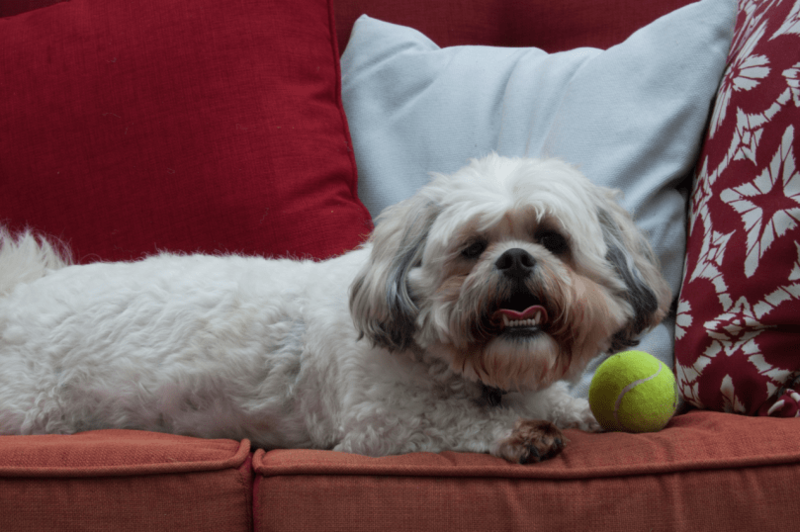 Common pairs include the Shih Tzu, the Bichon Frise, or the Poodle. Fluffy coats, either curly or straight depending on the mixture of breeds. Big eyes that look like buttons. A nose that looks like a button. If you’re wondering if teddy bear dogs are hypoallergenic, the answer is yes! Thanks to their low shed, double layered coat, they are the perfect addition to a family which worry about sneezing or allergic reactions. Their double layered coat consists of one fine undercoat and one fluffy outer coat that is soft to the touch. As well, their fur comes in a variety of colors and lengths, depending on the breed. The more options for you to choose from. This group came around in the 21st century, around 2000 to be exact. People bred them to become therapy dogs for handicapped children. How could you not feel better after staring into their adorable faces? The American Kennel Club does not recognize them as an official group yet. However, they plan to after a few more generations exist. Their weight varies depending on which Teddy Bear Dog breed you have. Generally, they weigh about 8 to 16 pounds (3 – 7 kg) and grow 8 to 12 inches (20 – 30 cm) in height. These dogs have a playful, fun, and energetic personality. They love everyone in the household, other pets and young children included. However, they’re needy and require lots of attention and affection. If you want to give them all the hugs and kisses in the world, then this is no problem for you. They also tune into the feelings of their owners, making them fantastic therapy dogs. If your Teddy Bear friend jumps in your lap during a difficult day, that’s their way of comforting you. They can have a chewing and peeing problem, especially when they’re younger. However, their intelligence and eagerness to please make training a breeze. Less destroyed furniture and carpets for you! As well, they do need regular exercise thanks to their high energy levels. Though they may seem fragile, they’re tougher than they look. Watch them zoom around the yard at speeds that might surprise you. While this group is relatively healthy, there still are a few issues to look out for. Brachycephalic. Their small muzzles are adorable, but those make it harder for them to breath. It also makes them more sensitive to high temperatures. Weak Tracheas. Use harnesses instead of collars to avoid flattening their weak tracheas. It’s an easy step to avoid harming or even killing your furry friend. They have only been around for about 20 years, so it’s worth noting that there may be health issues not yet identified. As well, depending on which kind of Teddy Bear Dog you get, your friend might be more prone to additional health issues inherited from their parents. We’ll go into the specific combinations later. Their coats are one of their best features, and it’ll take work to keep it that way. Make sure to bath your Teddy Bear Dog once a week to prevent the build-up of grime and dirt, especially in their ears. You’ll need to schedule regular grooming appointments. Professionals can keep their adorable fur in maintenance and also make sure no mating takes place. We recommend this take place once a month. Plan to brush your friend at least once a day, so no stubborn knots take root. In order for you to pick the best breed for you and your family, you’ll need to do extensive research on the different combinations of these dogs. Keep in mind that these mixes usually inherit the same health problems and characteristics from their parents, so it’s essential to choose wisely. Let’s go into those different breeds now. Zuchon is the most common Teddy Bear Dog, this breed is part Bichon Frise and part Shih Tzu. Their life expectancy is 15 years, and they’re one the healthier combinations. Recognized by the American Kennel Club in 1900, the Pomeranian descended from the Spitz dog family. As we mentioned above, they are an example of a purebred considered a Teddy Bear Dog thanks to their adorable appearance. Pomeranians are more likely to have health issues such as patellar luxation, shoulder luxation, progressive retinal atrophy, and entropion. 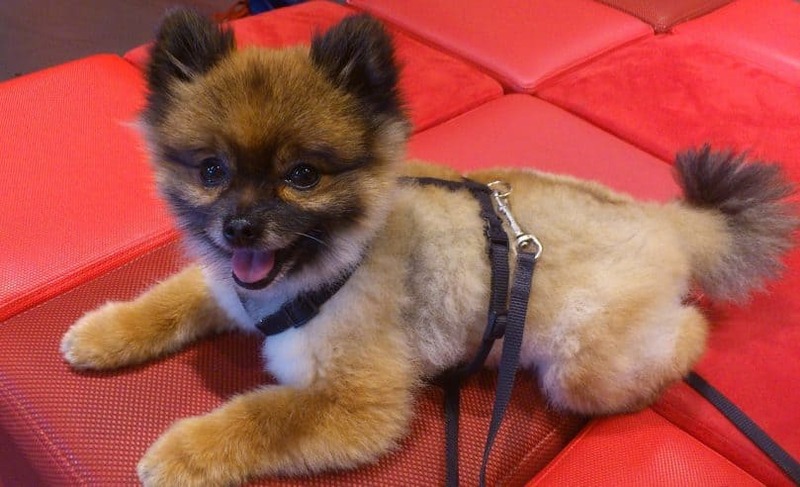 This is one of the most popular Teddy Bear Dog breeds thanks to their tiny stature. They weigh less than five pounds! However, they are also more vulnerable to health issues like heart defects, seizures, respiratory problems, digestive problems, blindness, and arthritis. This is because they’re bred using the runts of the litter, who are more susceptible to health complications. You’ll need to monitor their food intake, keep their blood sugar levels in check, ensure they don’t fall from high surfaces and take them to regular vet visits. Also known as the Bich-Poo, BichonPoo, and Bichnoodle, this is a cross between a Bichon Frise and a Toy Poodle. Their coats make them one of the most hypoallergenic, and they’re on the healthier side with a life expectancy of 15 years. These dogs tend to bark more and love to play rough, so they might not be the best for younger families. 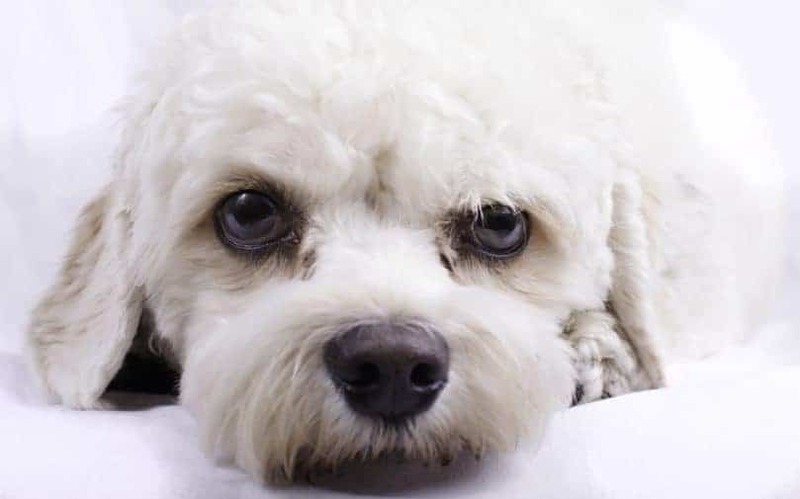 As well, if you spend long stretches of time away from home, know that the Bichon Poodle mix is prone to separation anxiety. This is the cross between a Shih Tzu and a Poodle, usually a miniature poodle or a toy poodle. This means they have the loving personality of a Shih Tzu and the smarts of a Poodle. 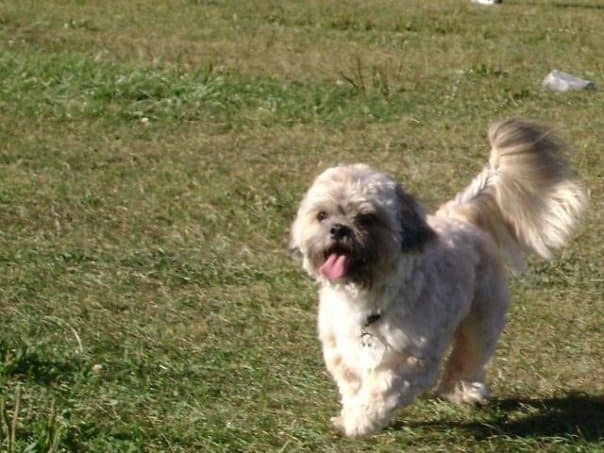 Shih Poo’s intelligence needs stimulation, so make sure to do lots of training. Doing so will help their large personalities be more manageable, and they’ll get along better with other animals and family members in the house. Like the Poochon, these Teddy Bear dogs don’t like being alone for extended times. Expect 15 long years with this friend! These are on the bigger side, as they’re a cross between a Golden Retriever and a Miniature Poodle. Because of this, they need regular exercise and wouldn’t do well living in an apartment. Their loving, loyal, and intelligent personality makes them great family pets. But they do get separation anxiety. As well, Mini Goldendoodles are more prone to cancer thanks to their Golden Retriever genetics. Their life expectancy is anywhere from 10 to 15 years. 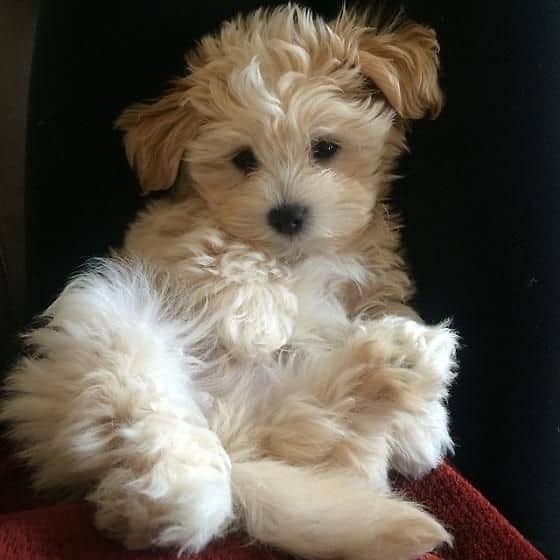 Maltipoo is a cross between the Maltese and the Poodle. Loving and intelligent, these Teddy Bear Dogs form lasting bonds with their owners. This also results in issues with separation anxiety. Maltipoo’s life expectancy is about 13 years. Their sensitive skin and fur might cause problems during that time. 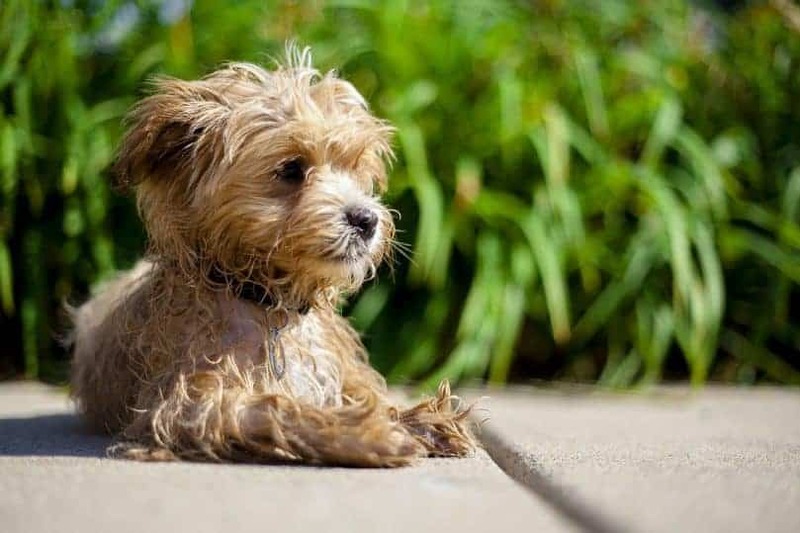 One of the smaller breeds of the Teddy Bear Dog group, the Morkie is a mix between the Maltese and Yorkshire Terrier. Because they are smaller, they don’t need a lot of exercises and can easily be hurt. Watch where you step! While they may live up to 13 years, they might have many dental issues thanks to their small mouths. They also bark a lot. 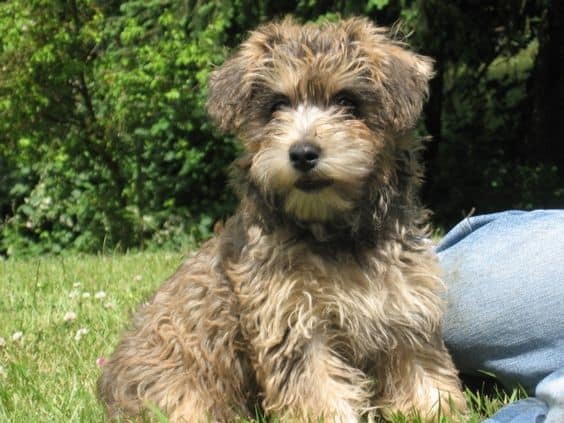 A mix between a Schnauzer and a Poodle, these Teddy Bear Dogs can vary in size. 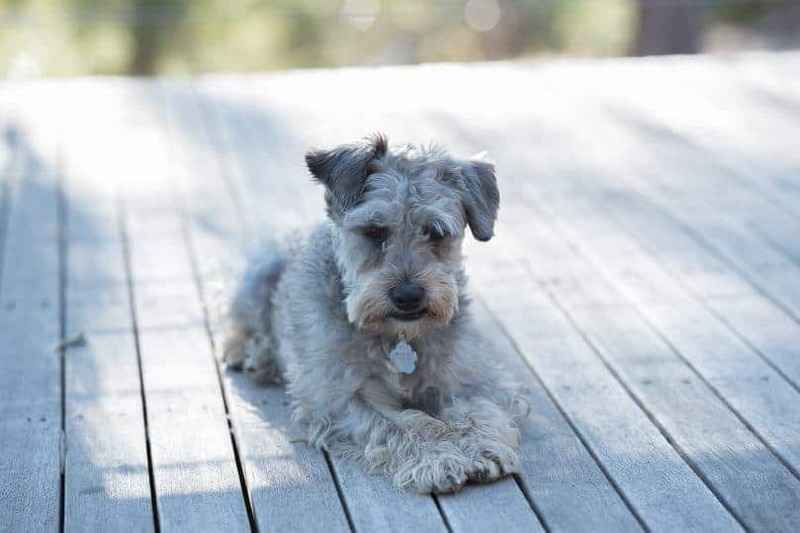 It’s always a good idea to socialize Schnoodle early on, as they can be skittish around new animals, people, and situations. They can live up to 15 years if treated well. Make sure to include daily exercise, or they might grow bored! The Cavapoo is half Poodle and half Cavalier King Charles Spaniel. They make fantastic family pets thanks to their loving, fun, and happy personality. They also can live up to 15 years. Unfortunately, this mix breed is prone to syringomyelia. This is a rare disease that causes fluid-filled cavities in the spinal cord near the brain. To avoid this from happening to your pooch, make sure to do research when purchasing from a breeder. This way, you’ll buy from someone who has cleared their pups from this condition. This is a cross between the Maltese and the Shih Tzu. They are also called the Teacup Bear Puppies thanks to their smaller stature. No Mal-Shi look the same thanks to their varied coat color and lengths. They rarely run into health issues and can live up to 14 years old. Make sure to socialize early on, or they might turn into nervous, yapping pups. The Cairnoodle is a cross between the Cairn Terrier and a Poodle. Another Teddy Bear Dog on the smaller side, their playful nature makes up for their lack of size. 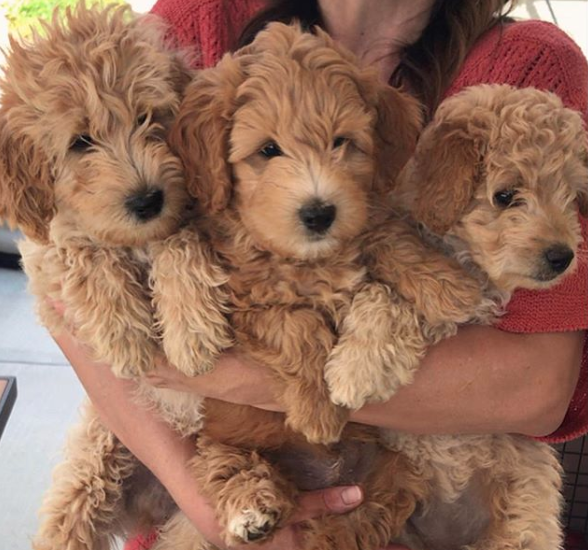 One of the most popular types of Teddy Bear Dogs, the Cockapoo is a cross between the Cocker Spaniel and the Miniature Poodle. People love their ability to become another member of their family. Their diversity in color and coat pattern also makes them very attractive. They have the longest life expectancy by far at 18 years. The price depends on which breed you get and which breeder you purchase from. You can buy one from anywhere between $500 and $3000 dollars. Luckily, there are breeders everywhere both online and offline. As always, we recommend you do thorough research before purchasing. You want to make sure the person from who you purchase can provide you with a healthy, happy puppy! 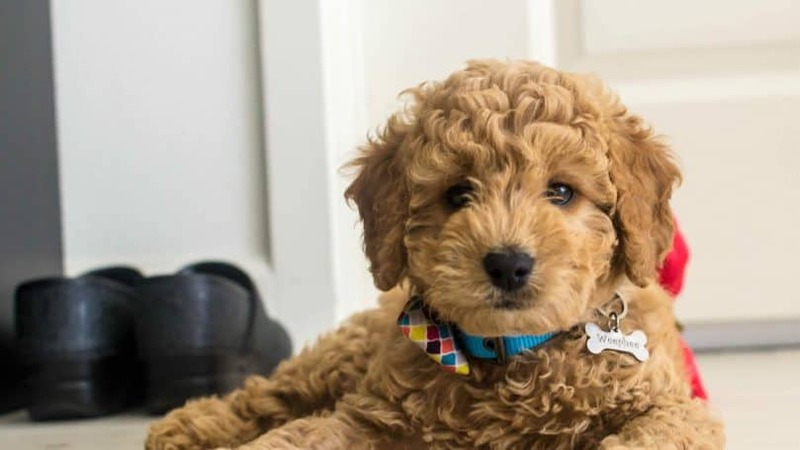 Because this type of dogs is so popular, several organizations can help you find your perfect Teddy Bear pup to adopt. If you’re considering this kind of dog for your family, what’s not to love? Their adorable appearance makes them look like a favorite cuddly friend from childhood. Plus, their friendly personality matches. They’re sure to spark joy in any household. Make sure to take them to regular vet check-ups and grooming appointments to be proactive in their health and comfort. Let us know if you have any questions about Teddy Bear Dogs in the comments below!